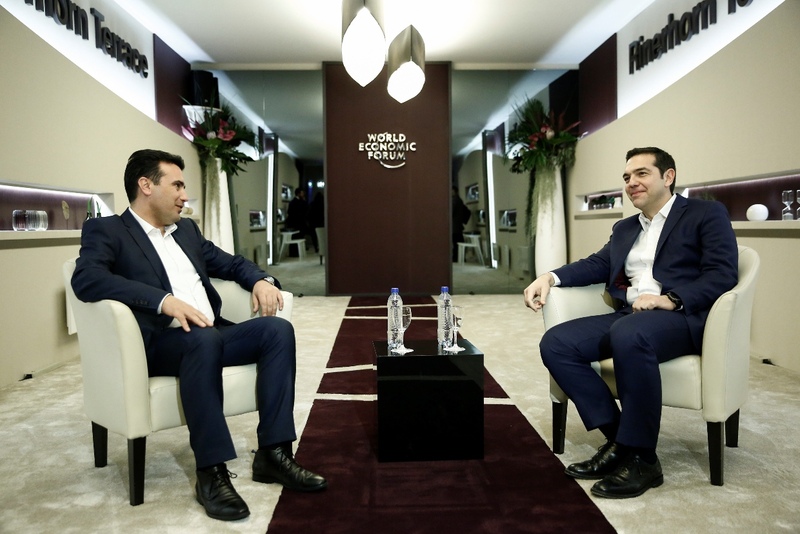 FYROM Prime Minister announced the renaming of the airport of Skopje and the country’s main motorway leading to Greece, in joint statements with Prime Minister Alexis Tsipras following their meeting in Davos. Zoran Zaev noted that these actions, which his government will undertake, prove that his country has no territorial claims against her neighbor. Greece, Zoran Zaev added, will allow FYROM to strengthen its co-operation with the EU and international organizations. Skopje Airport and the FYROM Main Highway were renamed Alexander the Great in 2006 and 2008 respectively by the government of Nikola Gruevski. As Zoran Zaev revealed, FYROM’s main motorway will be renamed the “Friendship” motorway. According to IBNA, the most likely new name for Skopje’s airport is that of Macedonia’s first president, Kiro Gligorov. Also, the FYROM Prime Minister expressed his government’s commitment to the UN-led negotiation process on the name issue, and announced the upgrading of negotiations to the level of Foreign Ministers of Greece and FYROM, monitored by the prime ministers of the two countries. Zoran Zaev noted that the time has come to find a solution to the name issue, which, he noted, will particularly contribute to strengthening his country’s European and Euro-Atlantic prospects in order to reach FYROM’s strategic goal of joining NATO and the EU.